There has been much discussion recently on just how secure is our online security. Many of us our scrutinizing our own personal accounts for this very reason. 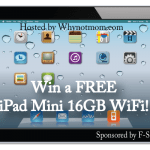 What most people don’t realize is that whenever we connect our devices to a public wi-fi, (ie smartphones, tablets, Kindles, iPads) we are actually putting our personal information at risk. There are choices out there and F-Secure® can help. Whether it’s for your portable device or your desktop computer, you need to know how you can secure your information online. This has been a big concern for me and when F-Secure® asked me to review their products I was more than delighted to do so. I have personally used their products and have been very impressed with what they can do. 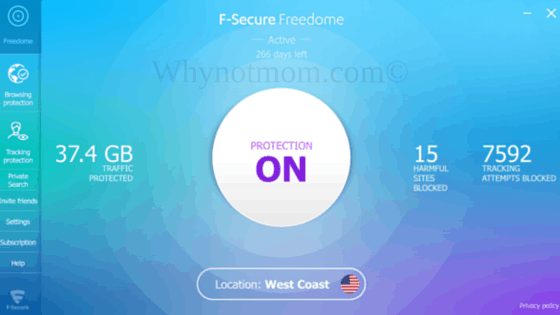 You can read all about my latest experience with F-Secure Freedome VPN® here. In fact, just to give you an idea of how hard at work Freedome® has done for me, take a look at my latest screenshot from my PC. Yes, you will want this on your computers! If you want to read more about tips on online security and how you keep better protect yourself, check out my previous article here. 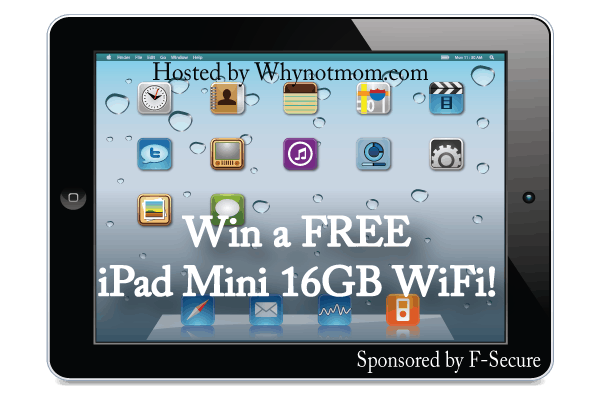 I’m so THRILLED to announce that F-Secure Freedome VPN® is letting me give away ANOTHER iPad Mini Wi-Fi 16GB!! AND to make the pot even SWEETER the winner will receive 12 MONTHS FREE subscription to Freedome VPN! Because they want your wi-fi experience to be safe of course! Don’t fret, even if you don’t win you can still try out Freedome VPN® FREE for three months using this code! I like to travel, but struggle with wifi and hotspots – especially maintaining security in faraway places. You just never know. Being able to use the internet with the confidence of knowing my information is safe is exciting to me. Hi, I just found your site today and im happy I did..there is some great info. On here. To answer the question about the Freedomme F- Stop safety technology, I love that it stops people from being able to see where you are and “inviting them to stock you” and break into your computor and cause havoc. I also love how it can stop the pesky ads. Thats worth getting it right there! 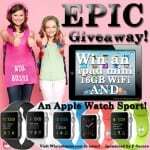 Last year I got scammed and so I know how awful it is for people to break into your computer and steal your info. It makes a huge mess of your life. I ended up losing $1500 from it. I wish I would’ve had this protection last year. I like the “private & protected” feature. Hackers can’t steal your stuff and annoying advertisers can’t track you. I like that Freedome is now available to privacy-conscious Kindle Fire users through the Amazon Appstore. I like that I can change my virtual location through Freedome to protect my privacy. I love that it protects my data when using public WiFi hotspots. I like that Freedome is now available to Kindle Fire users through the Amazon Appstore. I like the tip about setting boundaries and writing the rules down for children. Awesome to be able to change locations! 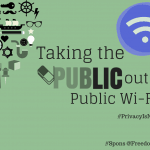 My favorite feature is the Wi-Fi Security where you can connect to any hotspot, public or private and surf carefree without exposing your traffic. How awesome!! I love the parental controls. I like that you can decide what your kids can and cannot see. And you can also track where they’ve been online. Love that! I like the Wi-Fi Security feature. I like that I can connect to any hotspot and its secured against hackers. Freedome VPN can protect me. Hackers can’t steal my stuff and annoying advertisers can’t track me. What a wonderful contest! Thank you! My family would love to have one of these. I like the “private & protected” feature. I like that you can use public wi-fi without exposing your info. First and foremost I love that I am protected online. I like that I can choose my location. I think the app and program are very user friendly and easy to maneuver. I think the cost of the subscription is very reasonable! I like that you hook up to any hotspot!! supposedly! I have to put it to the test!! 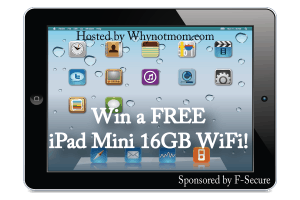 Thank you so much Whynotmom Shop Smart, Shop Mom and F-Secure!! You’re so welcome! Thank you for your support!